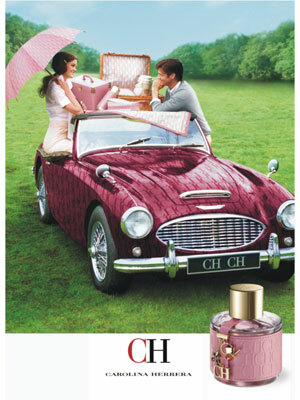 CH Garden Party by Carolina Herrera is a limited summer edition launched in 2010. The fruity floral fragrance is inspired by the sensations evoked by the first day after winter. The fragrance opens with refreshing fruity notes of grapefruit, pineapple and lemon. The floral heart blends jasmine and rose petals. The drydown provides a spicy, earthy touch, with cedar and sandalwood. Package Designer Embossed pink leather with CH initials wrapped the glass bottle, from a pink ribben hangs the metal CH initial charms in gold. Find Your New Scent - We got a panel of women and men to niff through the newest, most-hyped fragrances...meet their top thirty picks. For Work: CH Garden Party by Carolina Herrera ($90, nordstrom.com). Mpinja, Baze. 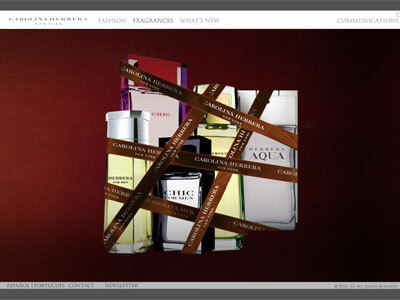 "Find Your New Scent." Glamour May 2010: 238-241.